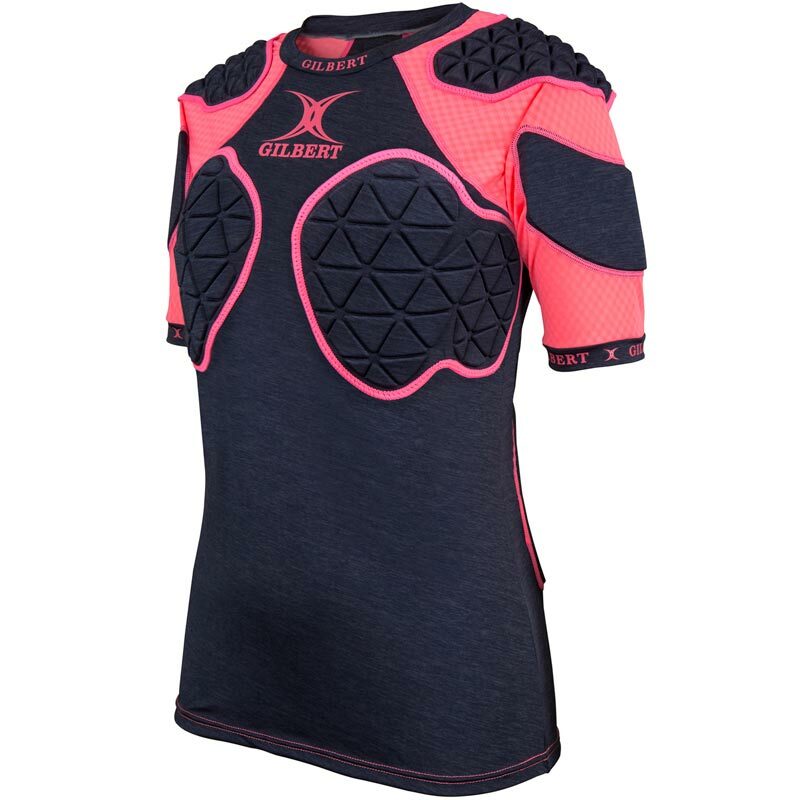 The Gilbert ® Triflex Lite Women's Body Armour is designed to give ultimate protection. 3D Moulded triangular system provides ultimate flexibility, coverage and impact absorption. Ergonomically designed breast padding for a streamlined protective option. 4 Way stretch to enhance range of movement, designed to accelerate the pull of moisture away from the skin's surface keeping the body dry and eliminating the chill effect. Shoulder Padding: Triflex pro 3.0 padding moulded system. Other Padding: Breast and multi-back padding.